Oh, the joys of being an early adopter. While it's always great to be among the first to try out a new piece of tech like the iPhone 7, you essentially assume the role of guinea pig in helping Apple to iron out those initial seams. With a few reports of the Cupertino's new handset letting out a bit more noise than some had expected, others have found the effects of Airplane Mode to be a little more permanent than they'd hoped. After toggling off the Airplane Mode, which shuts down all forms of connectivity when activated, some users have been unable to resume their cellular usage. Instead, users are being met with the dreaded 'No Service'. According to MacRumors, quite a few users have been affected, and Apple is said to be aware of the issue. The recommended step, for now, is the old faithful tech tip: turn off the device and turn it back on again. If that doesn't quite produce the desired result, Apple recommends users re-insert the SIM card and try once more. The owner of the device, Yasser El-Haggan, also noted that after trying to connect, the iPhone 7 "got pretty warm in the top right hand corner." He took the device to the Apple Store and was given a replacement. It's unknown whether this is a software issue or hardware. 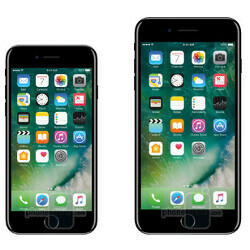 Interestingly, AT&T and T-Mobile-branded iPhone 7 and 7 Plus models include an Intel 4G LTE modem chip, where Apple has previously stuck with Qualcomm's cellular radios. Whether this has anything to do with the issue remains to be seen, but hopefully, it's a minor problem that Apple can clear up with a near-future software update. Has your new iPhone been affected by this No Service bug? Let us know in the comments. Hope apple knows how to solve the issue with initial batches of iphone, so as to not have a widespread one like bendgate or note 7 explosion..........provided that the problem is legit! Bendgate was an overblown issue. Android Trolls will continue trying their hardest to make bendgate seem as bad as Samsung's exploding Note7 devices. It isn't even worth arguing with them. Because it is worse. You think 100 phones that actually showed an issue is worse than 1000's of known phones that bent and several also exploded? Yeah...try harder. No matter what you claim, you can't change the facts no matter how you see it. This video shows over 300 bent phones You can tell they werent bent on purpose!http://www.cultofmac.com/302004/one-nine-refutes-apples-bendgate-claims-hundreds-bend-iphones/ That alone is more severe vs this Samsung issue. And lots of people, Apple refused to replace 100's of units. Samsung is replacing all even ones not actually affected. So yes it is a bigger issue. You can downplay it all you want. I never said a Samsung phone killed anyone, I said it had potential to - due to a legitimate design fault that's been acknowledged by Samsung themselves. All Li-ion powered phones can explode or catch fire if treated a certain way, the Note 7 does so through bad design. Fact. I think you'll find Samsung have already paid a massive price for the Note 7 and if, in your world, a damaged phone is worse than a dangerous one then perhaps it's your "pea brain" with the problem. let alone the iphones that killed several people...and dont even pretend you havent or didnt hear of those people that got killed by an iphone...i think killing several people is worst than the 100 of exploding note 7 that so far did not kill anyone. Well they even bring up Antennagate as a defense for the Note7 issue...reaching for anything at this point. Obviously, because Note 7 issues were resolved via an apology, bonus gear, and a full replacement/recall. AntennaeGate and BendGate were dealt with by Apple telling the iFans to use plenty of lube. I'm pretty sure a surge in exploding devices in such a short amount of time is considered a much bigger deal than people losing cell connectivity. Thats because iPhone 7 is just a pseudonym , the real name is iPhone 6SS new colour iSheep Edition. Yes, it will. Unfortunately, the aluminum in the iPhone 6 would also bend from being carried in a front pocket. Funny how iPhone 6S dont bend as much... Crappy aluminium will bend much easier than good quality one. And when the bending affect a touchscreen controller ( because they removed the metalic shielding of thats controller ) Well its two action to reduce cost to make the device thats made it much more cheap than its should. At the price iPhone are sold no one want this iPhone user or not. #Bendgate is still affecting devices. #TouchDisease is being attributed as a side effect of #Bendgate. I think the biggest issue with bend gate and antenna gate was not so much the issue, but Apple's response to the issues, they placed blame on the user instead of admitting anything that might be harmful to their image. While I agree Scott, do you honestly think that Samsung would have responded the way they did to #jihadgate had it not been widely reported AND a potential injury hazard? Of course not. This is an issue of false equivalence for most of the people here. You cannot compare the two issues OR responses because they are fundamentally two very different problems. And hell, it isn't like Samsung is doing all that great a nob getting those Notes replaced either tbh. Apple recently had a slew of exploding iPhones. They responded to that the same way they responded to #Bendgate and #Antennagate, they blamed the users each and every time. In at least 1 incident someone actually died yet they still refused to accept any fault. So who dealt with it better? Neither........this isn't rocket science lol. If two drunk drivers get into a car accident, you don't let one off because he apologized. That's retarded. And no they haven't had a "slew" of exploding devices. They've had 4 blow up in 18 months, each of which has been a different model. False equivalence like I said. STOP TRYING TO MAKE THIS ABOUT APPLE! YOU ONLY MAKE SAMSUNG LOOK INFERIOR IN THE PROCESS......HOLD THEM ACCOUTABLE! You further prove what I've always said. When Apple screws up their iSheep defend them claiming the problem is a non issue which is pretty much what you're saying now. I'm not the one making this about Apple, i merely replied to your comment and pointed out my point of view in regards to it. I defend Any company that merits it and chastise when they deserve it. You also don't need to "scream". Nor was I screaming. Simply announcing how people SHOULD be treating this. If you hold Samsung in high regard, hold them accountable for their screw up. I hold APPLE plenty accountable for Antennagate, so, why can't the majority of people here hold Samsung accountable for putting out potentially explosive devices? And stop calling people "isheep" every time they discredit something you say, it undermines the point of the discussion and further distracts from the original point. I have evidence to back my claim, as well as the advent of common sense. 70+ phones exploding is NOT acceptable.......period. If you hold Apple accountable for antennagate, then you're the exception among Apple fans, and Apple itself since they have still not admitted it. I hold Samsung responsible for the battery issue. They should be made to compensate those who were injured or suffered damage, and compensate them well. To those who's phone hasn't burned, all they owe them is either a refund or a safe replacement at no cost. Just like I've always said with antennagate, once Apple offered a full refund or a bumper, they met their obligation. The only issue that remained was the way they handled it, by lying. Hold them accountable....when they are replacing all devices and holding themselves accountable. And, to say they are screwing up a recall that begins on September 21st could only mean that is is already September 21st on your planet.